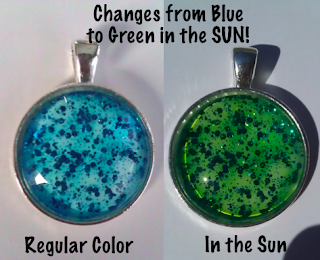 Hugs for Hailey: New Sun Changing Color Pendant Available! New Sun Changing Color Pendant Available! This Pendant goes from blue to green when in the sun! A Dark Teal with White Crackle.